Unfiltered beer with a beautiful and light yellow colour. Large head with a rough structure, a little bit of fine foam on the top. Medium strength aroma that has a real delicious sweet fruit to it. Good CO2, fresh, sweet and very well composed with going into a slightly bitter hops at the end. 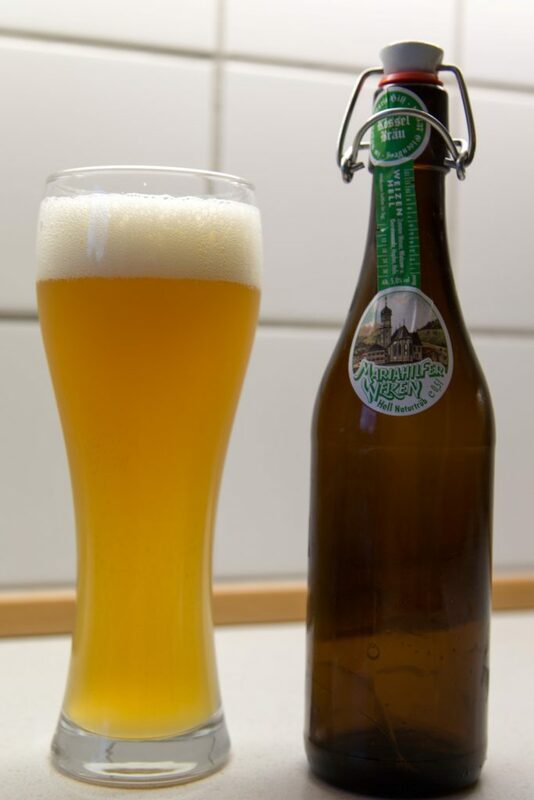 Ceramic cap is not seen that often on exported beer, might be because it is bought from a Bavarian webshop. A pleasure to drink!